A United States judge has ruled that lawsuits can go ahead against several companies accused of helping South Africa's apartheid-era government. IBM, Ford and General Motors are among those corporations now expected to face demands for damages from thousands of apartheid's victims. They argue that the firms supplied equipment used by the South African security forces to suppress dissent. The companies affected have not yet responded to the judge's ruling. US District Judge Shira Scheindlin in New York dismissed complaints against several companies but said plaintiffs could proceed with lawsuits against IBM, Daimler, Ford, General Motors and Rheinmetall Group, the German parent of an armaments maker. "Corporate defendants accused of merely doing business with the apartheid government of South Africa have been dismissed," she said. The plaintiffs argue that the car manufacturers knew their vehicles would be used by South African forces to suppress dissent. They also say that computer companies knew their products were being used to help strip black South Africans of their rights. 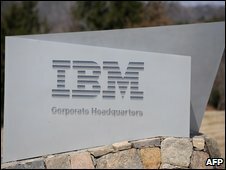 The judge disagreed with IBM's argument that it was not the company's place to tell clients how to use its products. "That level of wilful blindness in the face of crimes in violation of the law of nations cannot defeat an otherwise clear showing of knowledge that the assistance IBM provided would directly and substantially support apartheid," she said. More than 50 companies were initially sued, but after a court demanded more specific details, the plaintiffs decided to target fewer companies. The US and South African governments supported the companies' efforts to get the complaints dismissed. They argue that the legal action is damaging to international relations and may threaten South Africa's economic development.